When my daughter was about eight or nine years old, we visited a friend’s house. There, the hostess gave Munchkin some peppered turkey. I was sure she was going to hate it. How surprised I was when she asked for another piece! Since then, turkey has a been a staple lunchmeat in our house for sandwiches, quesadillas, and more. However, not all sliced turkey is made equal. Some are so seriously dry that you have to load on the condiments just so to swallow the stuff. I was asked to give Foster Farms All Natural Lunchmeat a try. Oh, man. We are gobbling (get it – turkey, gobbling) this stuff up! I love that this meat has no preservatives, doesn’t have that sour aftertaste that some other brands do, is gluten-free so Frans can eat it, and has lower sodium but retains the taste. There’s also a Honey Roasted offering (nom, nom). While the meat itself is flavorful enough and moist enough to enjoy on its own, my daughter has been making a mean sandwich with it. She refers to it as “her masterpiece” at lunch. Silly girl. Oh well, I’m just glad that she prefers eating something healthy like this at home instead of at those popular fast food places that other kids gravitate to. Yeah, I have to agree that it’s pretty stinkin’ good ☺ If you haven’t had this combo yet, you’re missing out! If you’d like to give the Foster Farms All Natural Lunchmeat a try as well, you can save up to $1 now with this coupon. 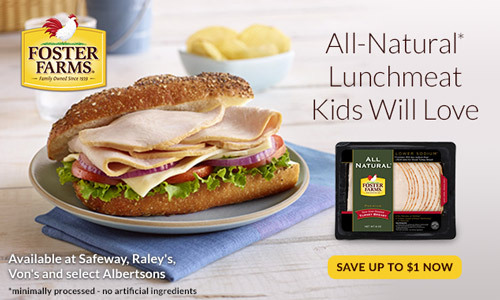 I picked the lunchmeat up at the Safeway near us but you can also find it at Raley’s, Vons, and select Albertsons if you’re in California, Oregon, or Washington. 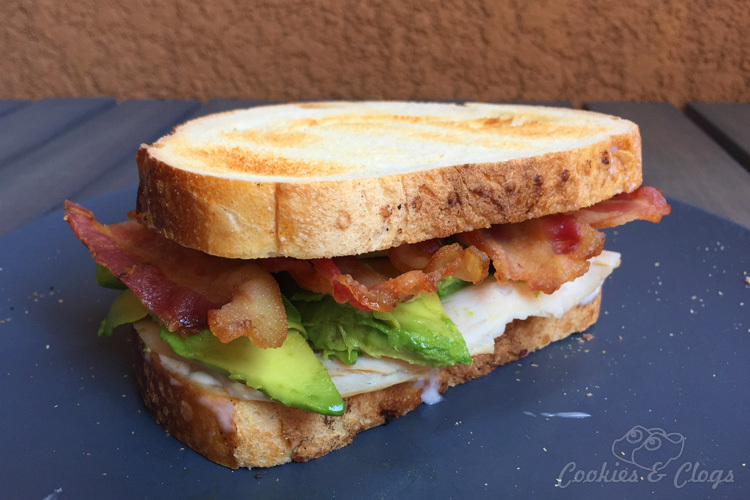 How do you take your turkey sandwich? 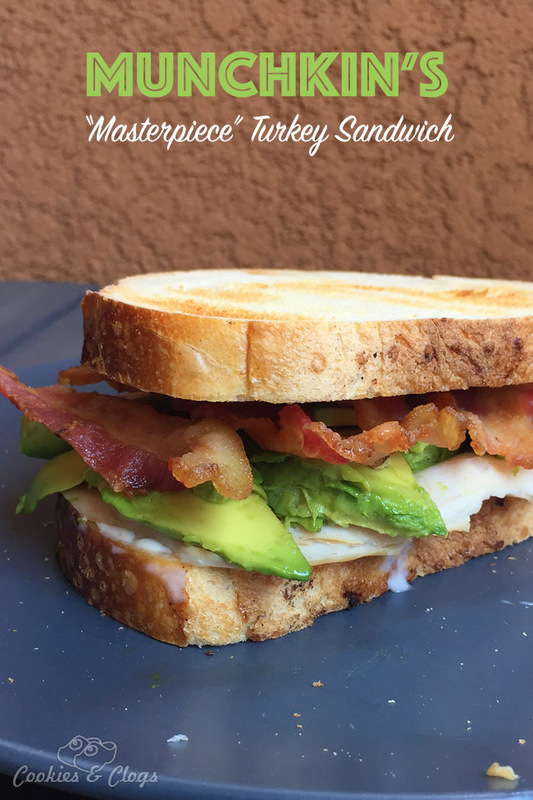 This blog post is part of a paid SocialMoms and Foster Farms blogging program. The opinions and ideas expressed here are my own. Mmm, that sandwich looks really good! I haven’t seen that meat yet, but I will definitely keep my eye out for it.